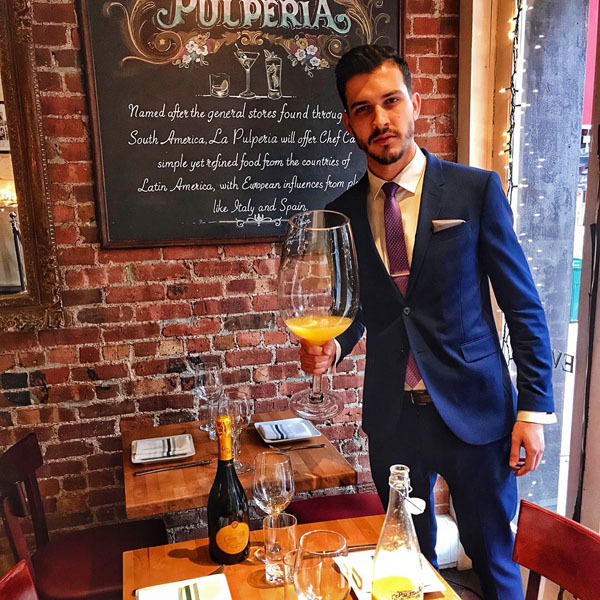 Rustic Latin cuisine restaurant La Pulperia Upper East Side, co-owned by Victor Medina and Head Chef Carlos Barroz, introduces You Only Live Once (YOLO) mimosas during Saturday and Sunday brunch, between 12:00pm-4:00pm. Diners are encouraged to share their best brunch pictures via the Instagram hashtag #yolobrunch. The popular restaurant and Cockteleria also offers Unlimited Brunch Cocktails for $25/person (does not include YOLO mimosas, which are $25 per glass), featuring a n ample selection of classic and innovative cocktails, accompanying their delicious rustic Latin brunch. With a Latin twist to a classic weekend brunch, delectable menu items include Lobster & Baked Eggs seasoned with fresh herbs, crema de blue cheese, fresh cream and truffle scented toasted bread; La Pulperia Omelet with caramelized onion, roasted red peppers, tomato confit, Chihuahua cheese, a side of home fries and a house salad; and Tortilla Espanola, a Spanish style omelet with potato confit, onions and a choice of cheese or chorizo. For additional entertainment, the Upper East Side location hosts live Brazilian Jazz every Monday night at 7:00pm, giving patrons a chance to unwind at the beginning of the week with Brazilian themed entertainment. Happy Hour specials are available all-day Monday, as well as Tuesday through Friday from 12:00pm to 7:00pm and Sundays from 4:00pm to 7:00pm. Tuesday is Ladies Night at La Pulperia UES (also at the HK location), with the first drink free for all ladies between 5:00pm – 7:00pm. 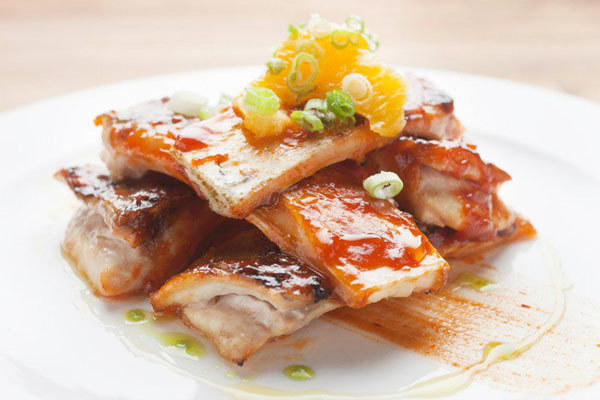 La Pulperia’s signature menu items include: Las Tablas, which allow patrons to choose from a variety of grilled proteins such as their famous Pulpo (grilled octopus), and are accompanied by five seasonal “cazuelitas”, a tasting of traditional side dishes such as Eggplant Chambota, Russian Potato Salad and Celery Root Gratin; Pacu Fish Ribs, a rarity in New York, are made with a grilled Brazilian Pacu – a wild and sustainable fresh water fish – and served with an orange chipotle BBQ sauce and coconut rice; Moqueca Mixta which includes a mix of fresh squid, shrimp, mussels, white fish, scallops, soy beans, Spanish chorizo, bacalao and green coconut rice in dende oil; and El Salmon Brulee, a delicious platter of Verlasso salmon tartar, fromage brulee, strawberry and ginger leche de tigre, and micro bull blood greens. 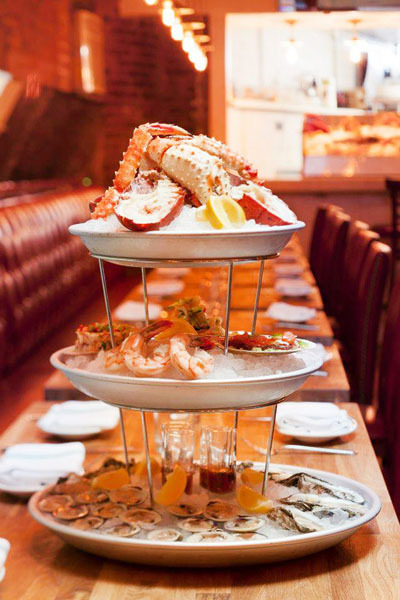 In addition to dining in the restaurant, The Upper East Side location also offers local delivery. Must-try drinks at the Upper East Side location include: La Pulpleria UES (Raizul tequila, fresh pineapple, fresh cilantro, lime juice, Volcanic Lava Salt rim), Upper East Side Lady (Strawberry infused gin, Elder Flower liquor, lavender nectar, and gold flakes), and The Smoky Room (House mescal and Milagro, passion fruit puree, fresh pomegranate juice, agave nectar). 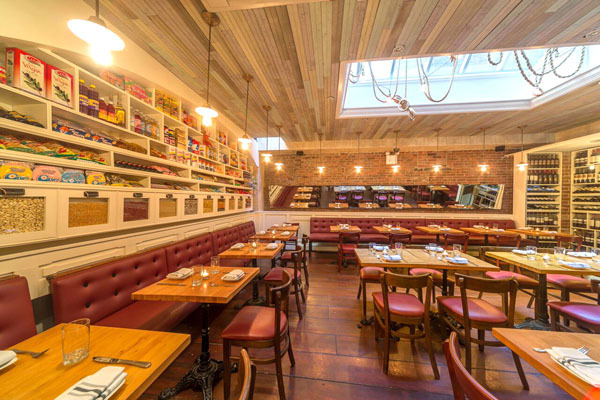 Each of the three La Pulperia’s hosts their own set of unique events and dining specials, with available private party menus and online delivery additionally being available within the Upper East Side.